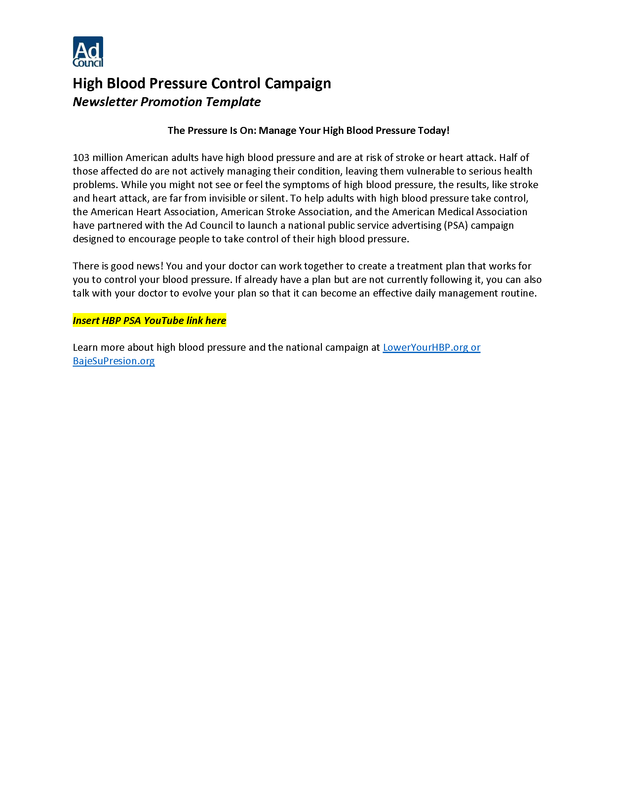 The following materials are provided to help you spread the message of High Blood Pressure Control throughout your channels and networks and enable you to assist in the placement of public service ads in your community. 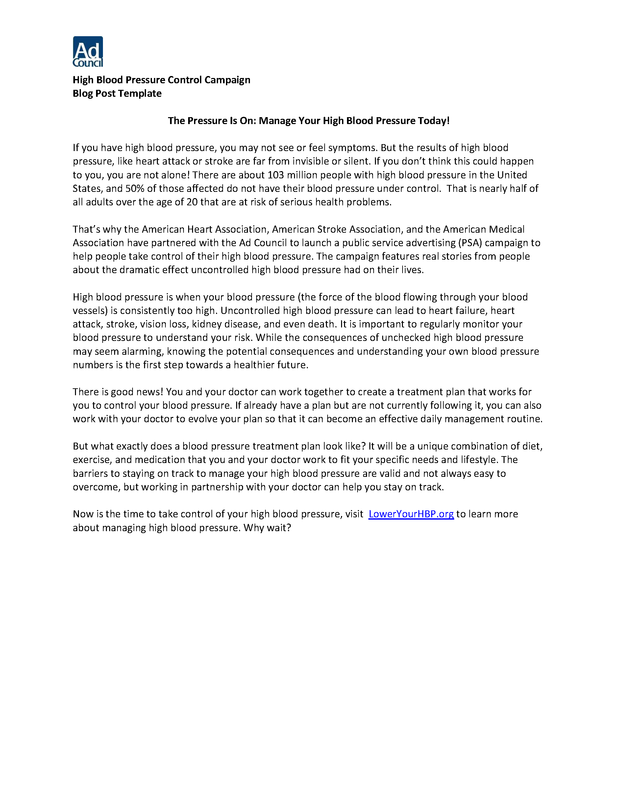 Customizable blog post that can be used to share the campaign on your blog. 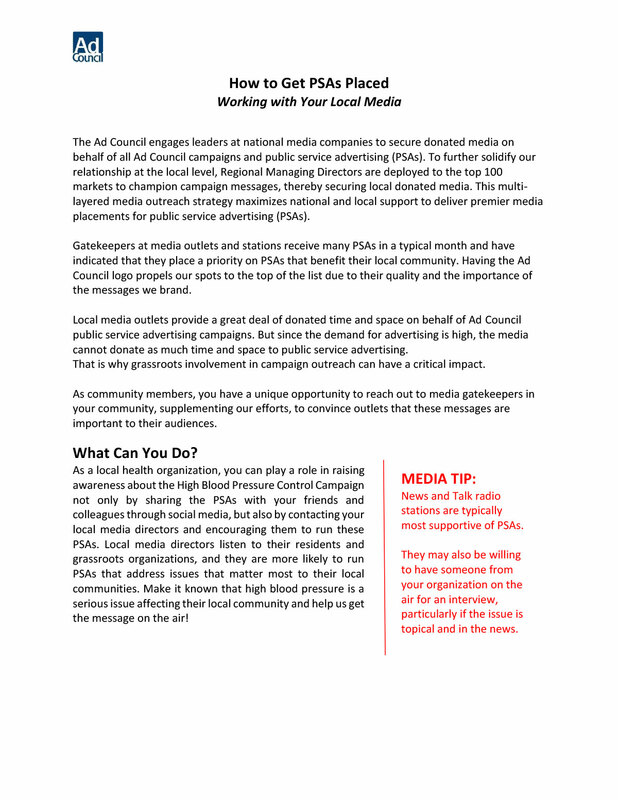 Customizable announcer copy that can be tailored to fit your local market. 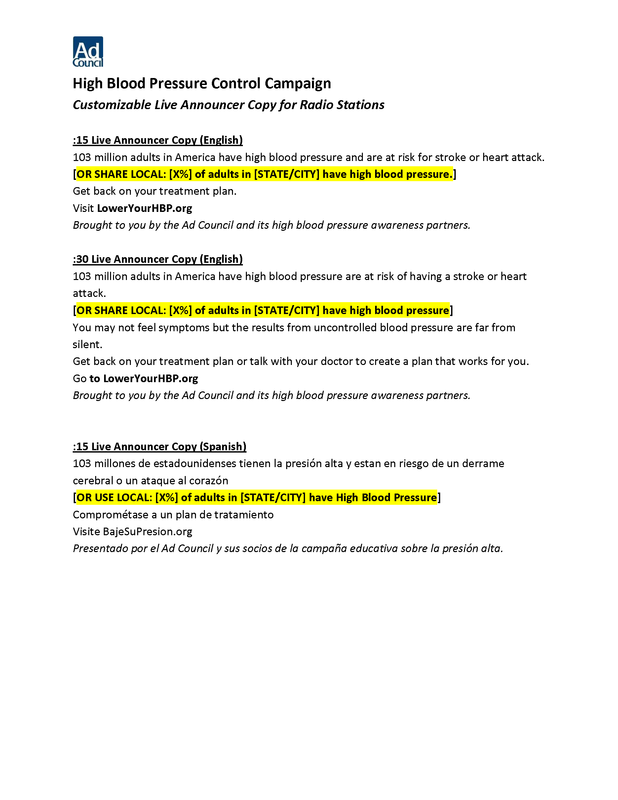 Instructions on how to download broadcast quality versions of the High Blood Pressure Control PSAs. 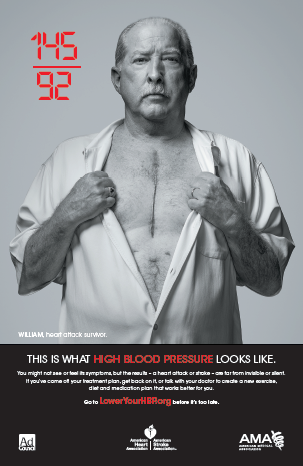 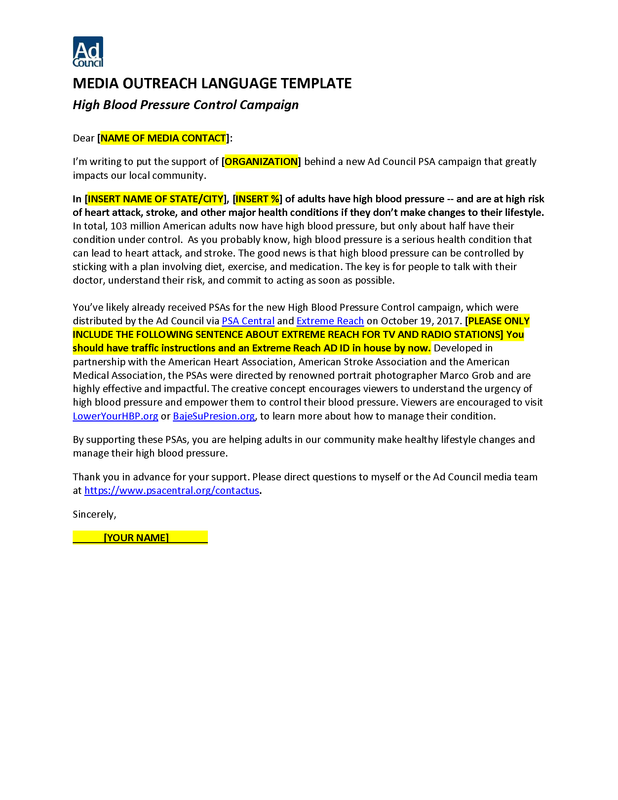 A comprehensive guide on how to promote the High Blood Pressure Control PSA campaign with your local media outlets. 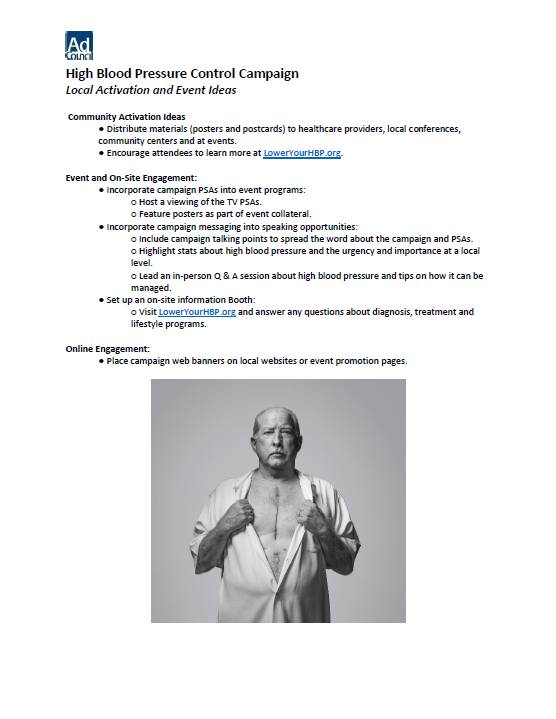 Customizable newsletter template that can be used to share the campaign in your newsletter. 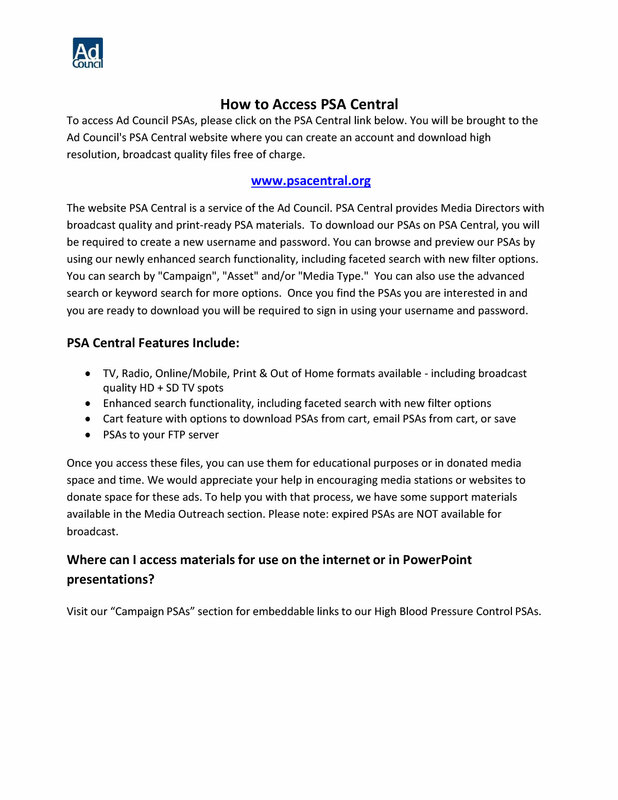 Printable poster to share and distribute in your community.